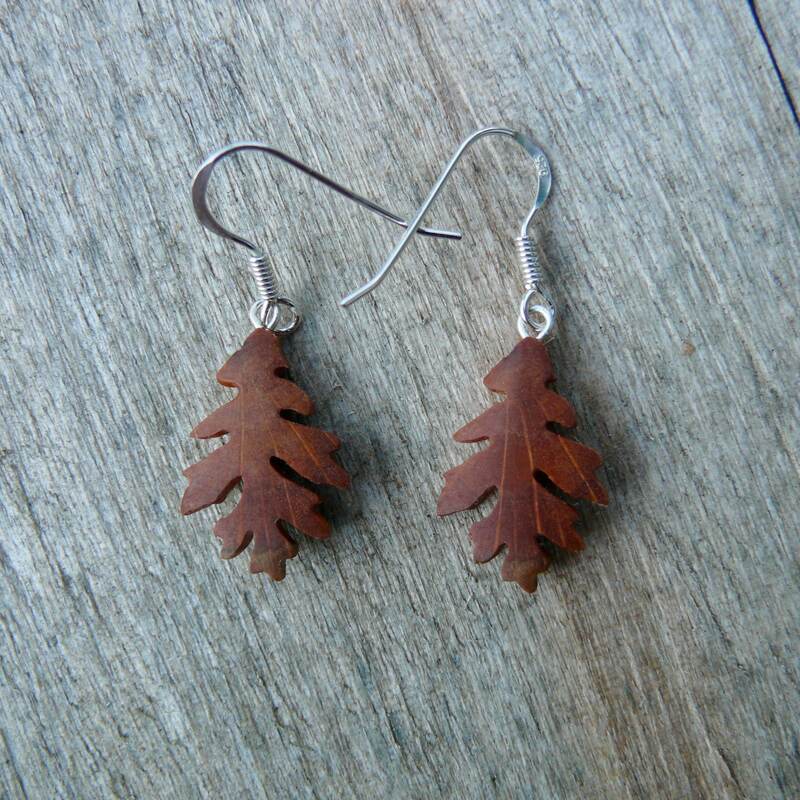 These beautiful light-weight tiny oak leaf earrings are made from sustainably harvested North American wood. Modeled after an actual leaf! Polished to a silky sheen and finished with 100% pure Tung nut oil. Sterling silver hardware. 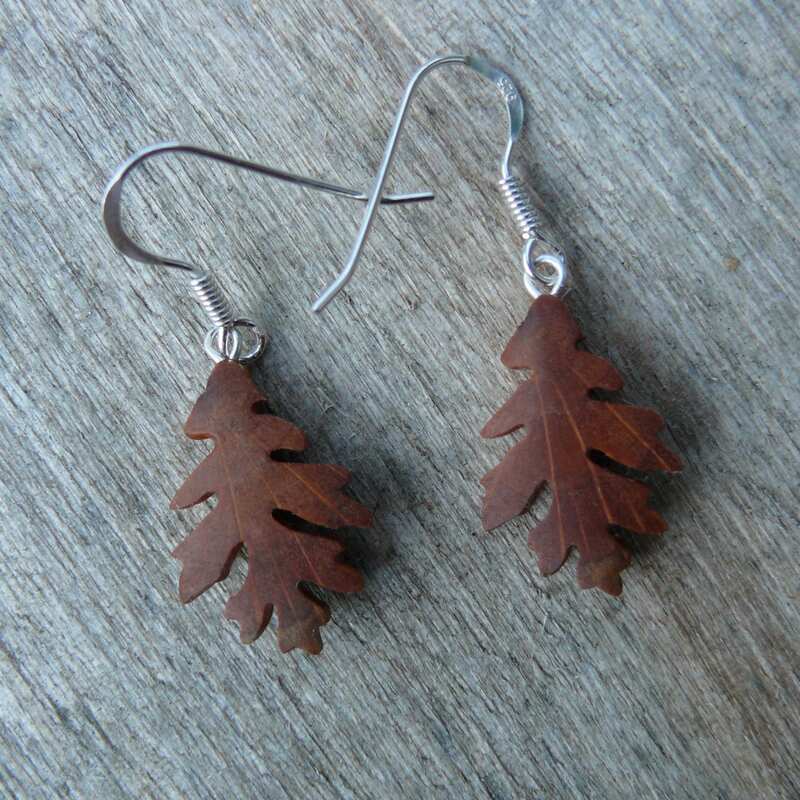 Measures approximately: 3/4" x 1/2"
*These are hand crafted wooden earrings. They are NOT laser cut.